I know that it is like 3 months past the halfway point of 2018, but I still wanted to make this post just to reflect on some of my favourite books I’ve read since the beginning of 2018. Some are new releases and some aren’t, but what these 5 books do have in common is that I really enjoyed all them! On Writing was a fantastic book about the journey and process of writing and really opened my eyes to the world of writing even more. Not only was it insightful and motivating, but it was overall just an enjoyable read. Sometimes with craft books, they are helpful and full of great tidbits of information but are kind of a bore to read. That was not the case with this one and because of that, I would definitely be willing to give this book a re-read in the future! I highly recommend it to anyone who loves to write and wants to hear the story of one of the greatest writers ever. 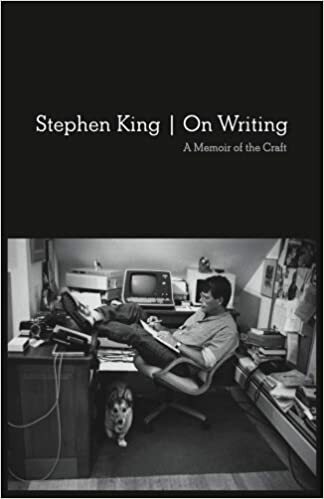 It is also beneficial and inspiring to see that like all of us aspiring authors, Stephen King struggled too and that is something really important for all writers to realize. One thing I loved about this book was that it was a contemporary-fantasy book and that is a genre I have been loving recently. While it had an interesting and beautiful storyline, the characters really pulled it off the pages with how realistic and flawed they were. This book really gives off mystical Narnia vibes that bring you back to when you were a child and really believed in a world of magic. In this book, we follow two sisters; Philippa and Evelyn who during a World War II bombing, somehow end up in a magical kingdom called The Woodlands. Years in this world pass and finally they are returned to their world as if no time has passed by at all. While Philippa and her brother are anxious to return to the pattern of their old lives, Evelyn dreams of returning to the magical kingdom and struggles to find herself back in the real world. One day, Ev disappears and Philippa is forced to look into the truth of her younger sister’s despair in order to understand why and how Evelyn disappeared. This book is beautiful, mystical and lyrical and hits shelves in late October so make sure you check it out when it comes out! These are the second and third books in The Raven Cycle, another beautiful and mystical book series that I have really enjoyed reading over the past few months. They follow a group of friends whose paths all lead to finding a supposedly lost Welsh king from ancient times. I love darker fantasy-contemporary books just like The Light Between Worlds, and The Raven Cycle is exactly like that. I have one more book left in the series and am extremely curious and excited to see what happens! While I went into this book with high expectations because of all the amazing hype it has received, and Scythe completely exceeded them all. Neal Shusterman somehow created such a vivid and three-dimensional world that really popped off the page and built itself up in my mind. The characters were people I could truly imagine meeting in real life; flawed and unique, and they interacted with the storyline perfectly. The story takes place in a world where humans have conquered basically everything from disease to death but to keep the population in check there are scythes who choose people to glean in order to do just that. Our two main characters Citra and Rowan are chosen to be apprentices to a well-known scythe and then eventually become scythes themselves, however, that is something neither of them really want. Such an amazing read that takes the genre of dystopian to a whole new level.